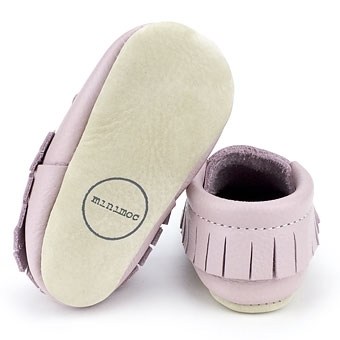 All of our Minimoc's are size 2. 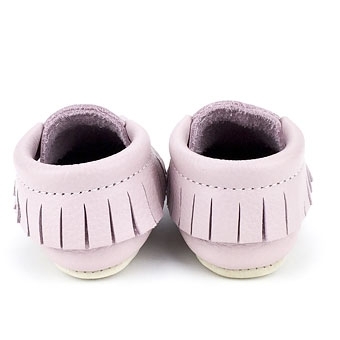 They are 4.1 inches long and generally fit ages 3-6 months. Piglet is a soft pink leather.